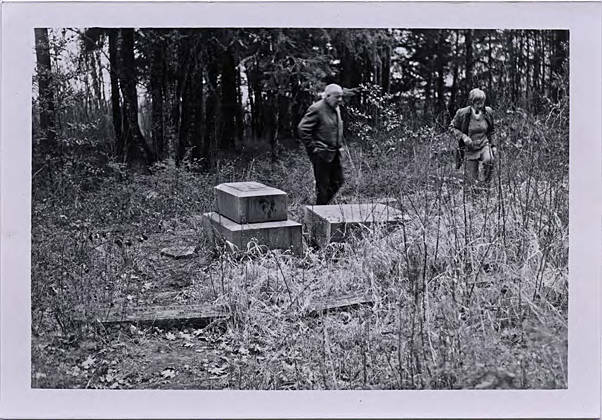 Black and white photograph of a man and woman examining vandalized graves in an overgrown cemetery. One headstone has been knocked over in this image. Note the woman's sweater and collar with the brooch.